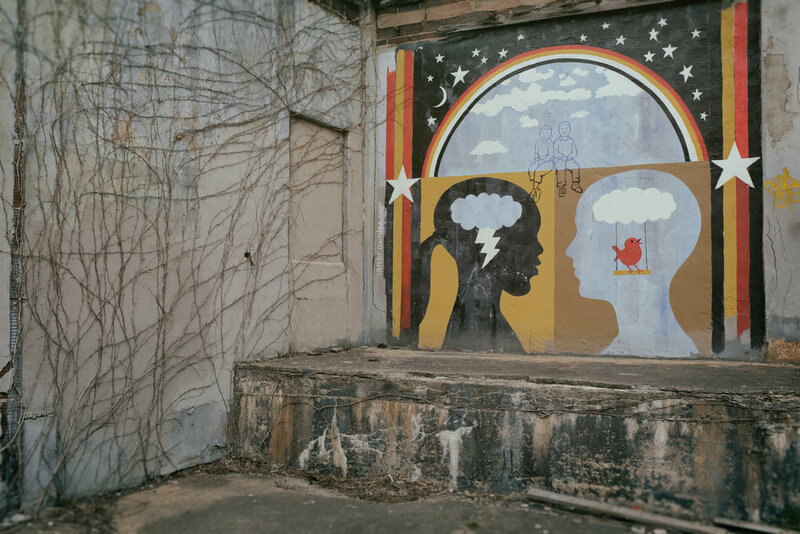 A boy and a girl facing one another on an otherwise desolate wall outside of a closed down factory in Asheville, North Carolina. Paintings on walls that guard the emptiness inside only go to make the emptiness more meaningful. Otherwise, the building would collapse in ugliness. Now, it can be overtaken by mother nature with a little dignity.